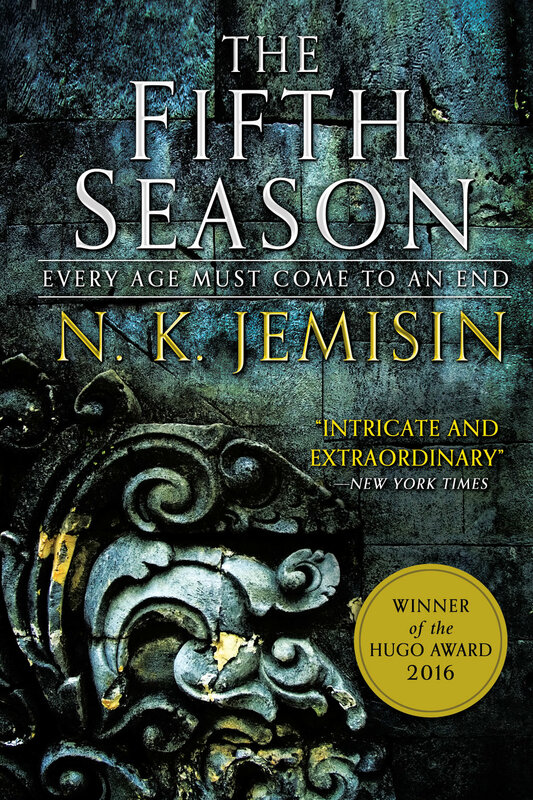 N. K. Jemisin has won the Hugo Award for Best Novel for THE FIFTH SEASON (Orbit). The win makes Jemisin the first African-American writer — and the first woman of color— to win the Hugo for best novel, considered the most important award in the Science Fiction community. THE FIFTH SEASON has also been nominated for a Nebula Award and a World Fantasy Award. The New York Times did a lovely interview with Jemisin - N.K. Jemisin on Diversity in Science Fiction and Inspiration From Dreams. You are the first African-American writer and the first woman of color to win a Hugo for best novel. What is the significance of that major and overdue milestone for you? If it is indeed true, I’m shocked, not in a good way. People of color have always been here. Women have always been here. And for a genre that supposedly prides itself on, to quote Gene Roddenberry, infinite diversity in infinite combinations, and being more progressive than the rest of the world, though there are some that don’t think we should be, for a genre that prides itself on that to have never given the best-novel award to another black person, that’s just bizarre. It’s also indicative of a general tendency in literature. We tell ourselves we’re more progressive, we’re more futurist, we’re more forward thinking, and that’s just not true. If we don’t make the same effort at antiracist and anti-oppressive thought, we’re not going to be any better about it than anybody else, and I’m glad that this is changing.